DD... 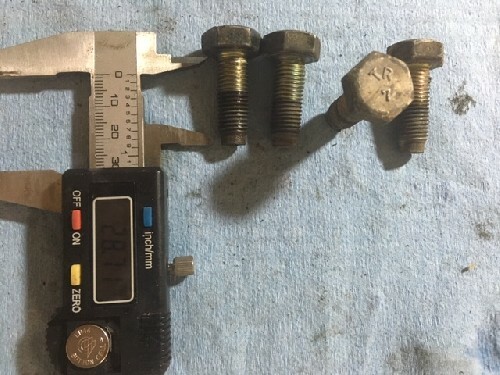 I read the Tech Wiki on the pilot bushing which is supposed to be on the end of the crankshaft and typically does not need to be replaced. 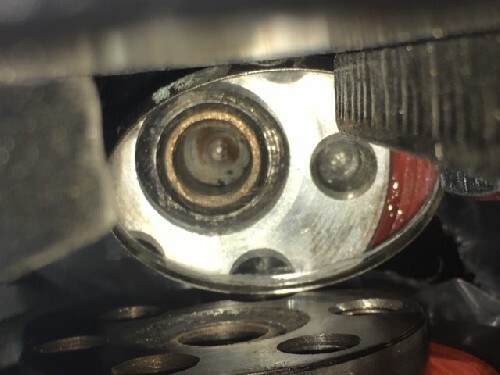 However my motor has a bushing inside of this pilot bushing. 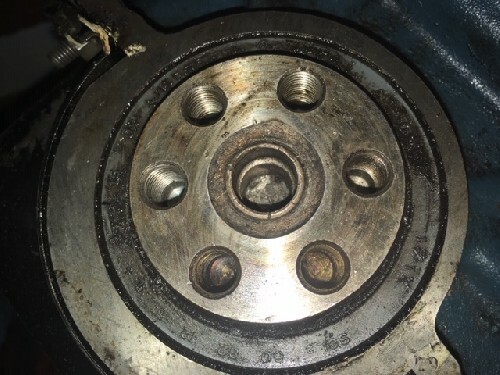 I wonder if the pilot bushing needed to be replaced and the mechanic could not remove it and pressed in another bushing and ground down the drive gear of transmission to make it fit. 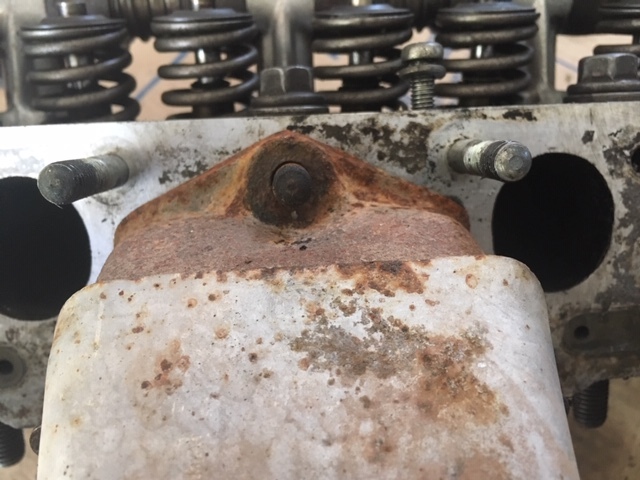 Once I get the inside bushing removed, then we can see what is going on. Benny....great idea. Will try that when I get back to it in a few days. So you have experienced these spigot bushes. 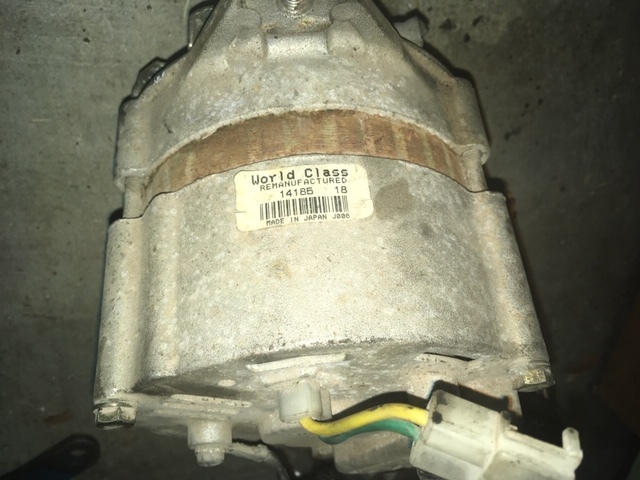 Any idea why it was in there and the purpose? Thx. 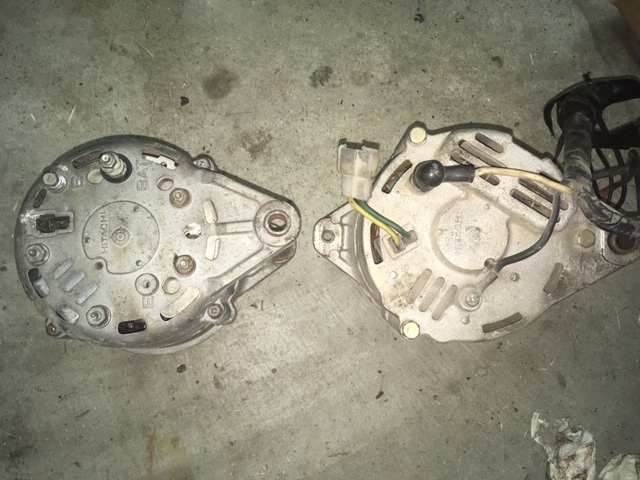 DD...the A15s I have came with 2 hitachi alternators. There is a considerable difference. Is one better than the other? 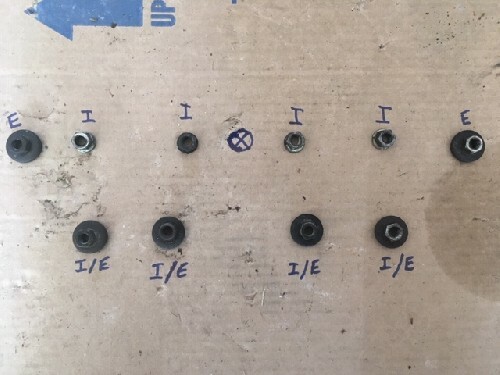 I have no idea why I would have those bolts. Must of just grabbed them from the ground when I pulled the engine. 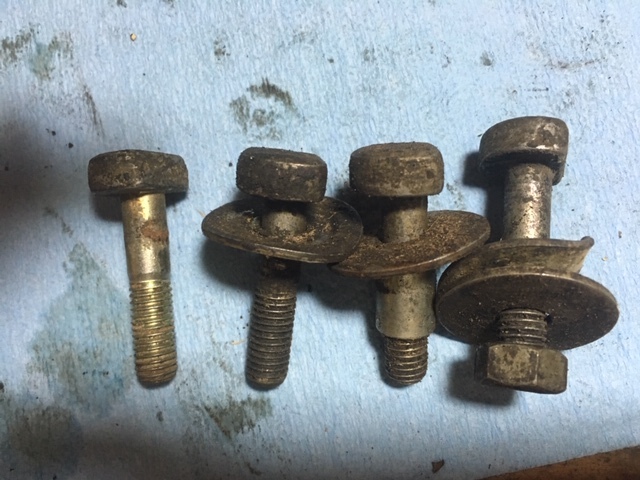 I was hoping these were the intake or exhaust bolts which I need to locate in my pile. And the Spridget guy is Will out of Tennessee. His brother may be Bill?? Great company to do business with and yes an expert in Datsun gearboxes. DD...no such luck. That plug is pressed in there. Will have to get a machine shop to drill it out. Not sure why this was put in there. Maybe there is a problem with the crankshaft end and they had to cap it? So the drive gear that is ground down is the 60 series 4 speed. The other drive gear shown is the FS5W60A. 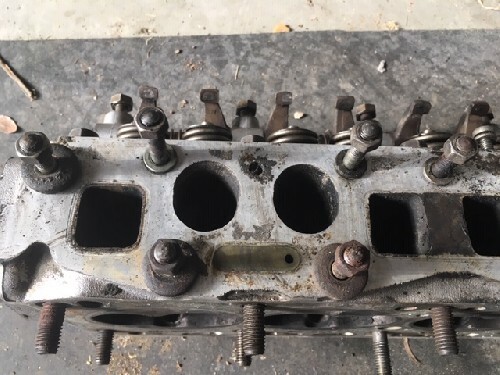 The crankshaft end shown with the mirror is the engine being rebuilt and has no plug. 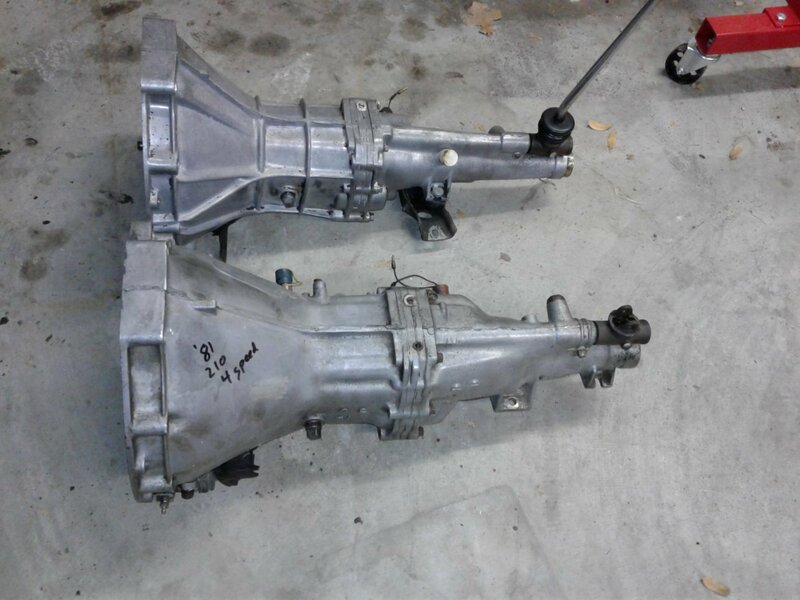 A Spridget guy here in the US that rebuilds these transmissions said the bell housings for both 4 and 5 speed 60 series are interchangable?? 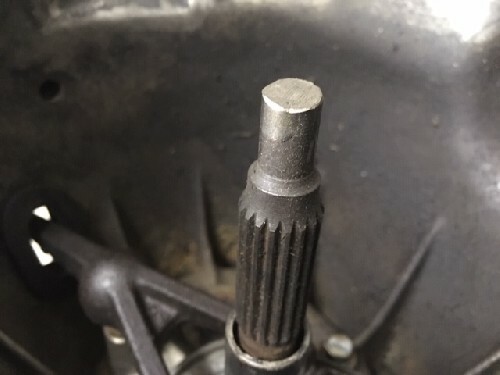 Before I close out this thread there are a couple of other bolts that I am not sure of. Any idea? 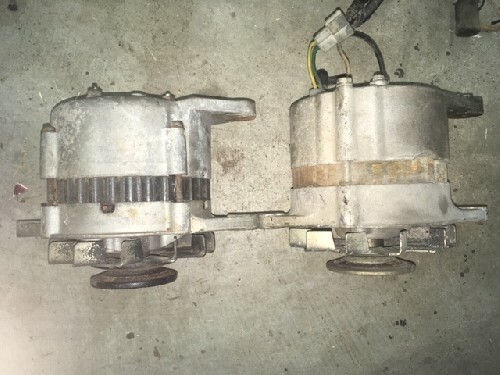 I will start another thread on the 2 types of alternators I have. So check this out. 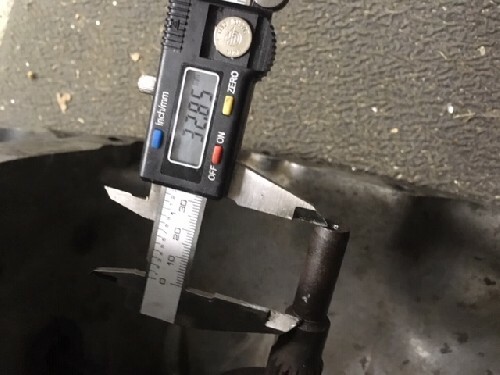 The input shaft on the 4 speed was ground down! 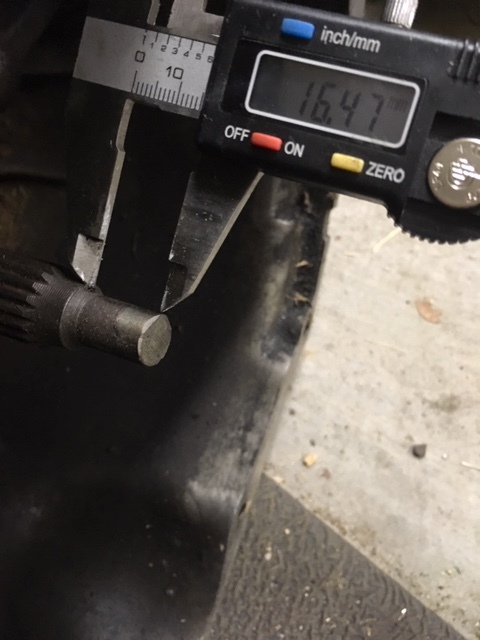 I posted the 5 speed input shaft to show the difference in length. This plug comes with an automatic and the PO didn't bother to remove it and altered the 4 speed when he swamped transmissions so it would fit? How do I dig this plug out? I also posted the crankshaft end on the motor I am rebuilding that shows no plug. 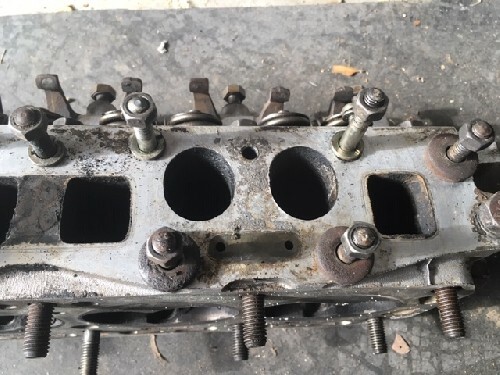 Looks like the 4-speed will be parted out. 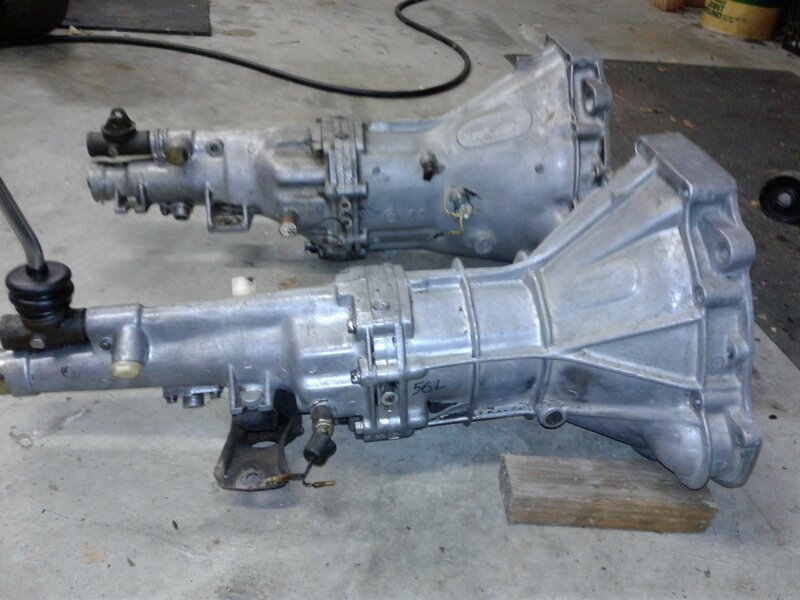 Are gears 1-4 interchangeable with the 5 speed? 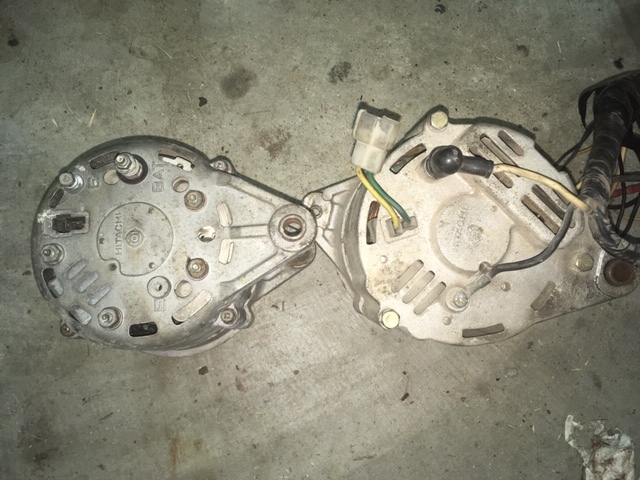 I was told the bell housing is interchangeable. Thanks a bunch DD. I just realized that this may be the motor that came with the 60A 4 speed. Does it have a shorter main drive gear than the 60A 5 speed?